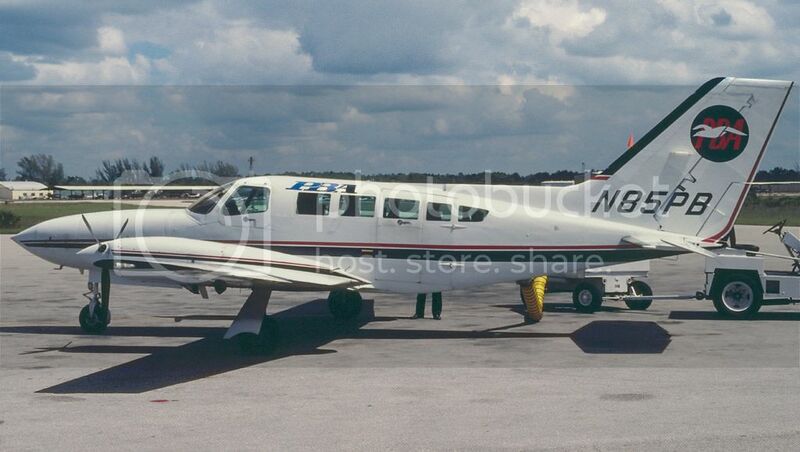 Back in 1987-1989, I was a Cessna 402C pilot for PBA, flying out of New Bedford. We flew to ACK on a daily basis. The scenery is fantastic, very realistic and just as I remember it. Couple of detail points: Northeast never flew the DC9 to Nantucket, they used an F227. Also, nobody ever had a pushback tug on Nantucket. They'd park you at an angle so you could drive out easily. Back in the 1980's, it looked like Southwest at Midway: It was all PBA, with a few Bar Harbor's now and then. Nice photos though! I've often thought of adding Northeast to our lineup. Factoid: When PBA went out of business, a little airline called Cape Air bought up almost every one of PBA's 402C's. Thirty years later, Cape Air is still flying those same Cessna's on a daily basis. Some of them fly out of my home town here, St Louis. Lacking any kind of decent replacement, Cape Air developed a maintenance program that is the worldwide standard for twin Cessna's today. Dave Reed wrote: Lacking any kind of decent replacement, Cape Air developed a maintenance program that is the worldwide standard for twin Cessna's today. Dave Reed wrote: Back in 1987-1989, I was a Cessna 402C pilot for PBA, flying out of New Bedford. We flew to ACK on a daily basis. The scenery is fantastic, very realistic and just as I remember it. Thank you for your kind words and thank you for your fantastic explanations of your past flights. The KACK scenery is payware from iBlueYonder software company. Dave Reed wrote: Couple of detail points: Northeast never flew the DC9 to Nantucket, they used an F227. Also, nobody ever had a pushback tug on Nantucket. .
Yeah I need to tell the software company to remove the pushback tugs from the payware scenery. As for Northeast, I did not want to offend you but Northeast did operate DC-9s and 721s to all three Cape Cod airports based on testimonies from real world Eastern pilots who told me they always saw Northeast jets at three Cape Cod airports. HOWEVER, I am SO EXTREMELY glad you found proof of Northeast jet service to three Cape Cod airprts from LGA and DCA. The funny thing is that I spent long time searching vast world of Internet for proof of such jet service because I knew there was Northeast jet service to three Cape Cod airports based on testimonies of Eastern airline pilots who told me they always saw Northeast DC-9s and 721s in those three Cape Cod airports but I knew you wanted physical proof, not verbal proof hence I am SO EXTREMELY glad you found physical proof! Thanks I already saw that before but I could not present that to you because it did not tell me which one DC-9 or 727. By the way, your link shows Northeast jet flight from KLGA to Cape Cod which is not in your fine VA's schedule database. Meanwhile I am continuing looking for proof of Northeast's jet service from KDCA to Cape Cod airports. Got confirmation from real life Northeast pilots that NE did operate DC-9 service between KLGA and KHYA but I know you want physical proof such as photos or timetables instead of verbal proofs so I will continue look for proof of flights between KLGA and three Cape Cod airports and between KDCA and 3 Cape Cod airports.